Hideo Akiyama was born in 1912 in Eleele, Kauai. Before high school, Hideo began working for the Territorial Highway Department as an engineer’s assistant. He also was a shortstop in the Hawaiian amateur league and was known as a powerful hitter. 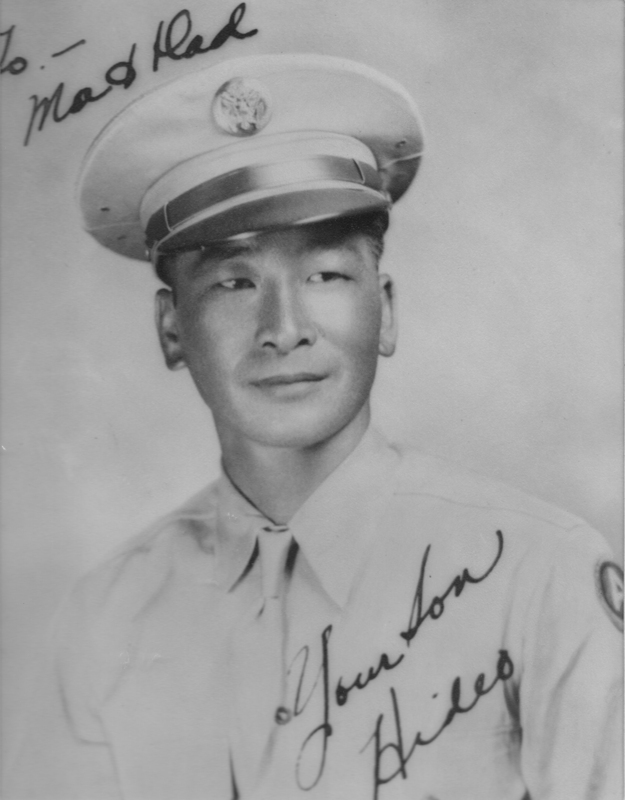 In March 1943, Hideo took his induction physical and was subsequently sent to Camp Shelby, Mississippi for basic training. On July 9, 1944, Hideo was wounded on the right side of his abdomen and right thigh while his unit was in combat near the town of Casale, Italy. He died the following day at the field hospital. Two days later, he was laid to rest at the U.S. military cemetery at Follonica, Italy. His remains were returned to Kauai sometime in late 1948 where he was buried in the Kauai Veterans Cemetery. Eight letters he wrote to his niece Fujiko and two nephews from September 1943 to June 1944 were preserved by his family. Hideo Akiyama was killed during the month of July 1944 in Italy. Eight of his letters to his niece and two nephews were preserved. All were written before he was shipped to Italy.